As I got up from the pew to exit the church, I noticed a banner displayed in a corner to my right. 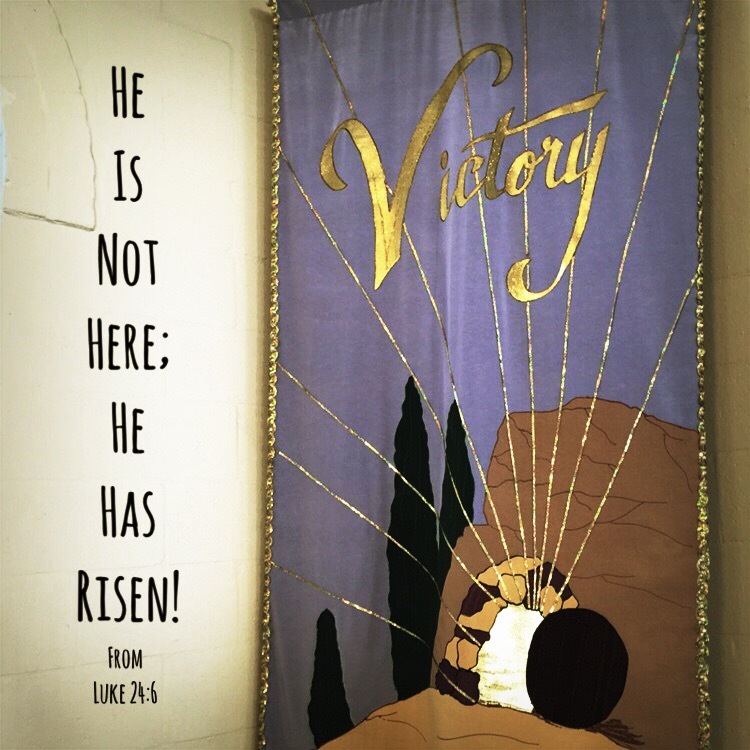 He is victorious over death. He is victorious over all evil. If Jesus is standing with us, what power is there that can defeat us? In every moment–when trouble comes–Jesus is standing with us. We must remember: Jesus is victorious! This entry was posted in Bible verses on photos, cross, Inspirational photography and tagged Jesus, tomb, victory.